Taglines: She's the hottest thing on eight wheels. Filmed in Detroit, Michigan and many of the skaters in the movie are on Detroit's Derby team. Factual errors: In several parking lots, multiple parked cars do not have front license plates. Texas requires cars to have front car license plates. But Michigan, where the film was shot, does not have front car license plates. Bliss Cavendar: I'm gonna puke! 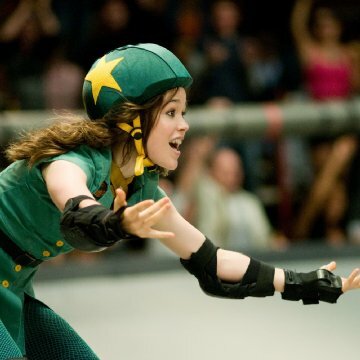 "Whip It," which stars Ellen Page (Juno), Marcia Harden, and several other notable actors/actresses is a fun filled, action packed, emotional film that forces you to give an old fashioned thumbs up as you leave. 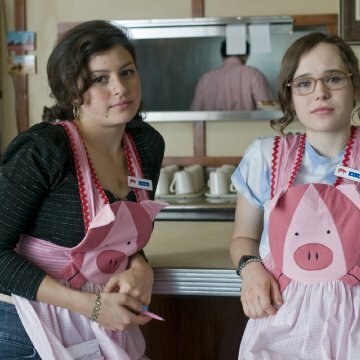 Page is fantastic in her role, perfectly capturing the rebellious, curious character of Bliss Cavendar. Her innocent face leaves you rooting for her while at the same time wondering if her decisions are ultimately right. Harden again plays her role flawlessly, down to her own hidden dreams disguised under her thick shell. Unlike most "rise to the top" movies, Whip It is believable. It seems real at all times. It feels as though all of us at one point in our lives were like Bliss, longing to live a different life. If you want a great night at the movies, if you want a solid movie with enjoyable memories, and if you want to answer that question of "I wonder how Drew Barrymore would be as a director," go see Whip It. You'll be pleasantly surprised.